A few pictures from a short walk on a cold winter morning. 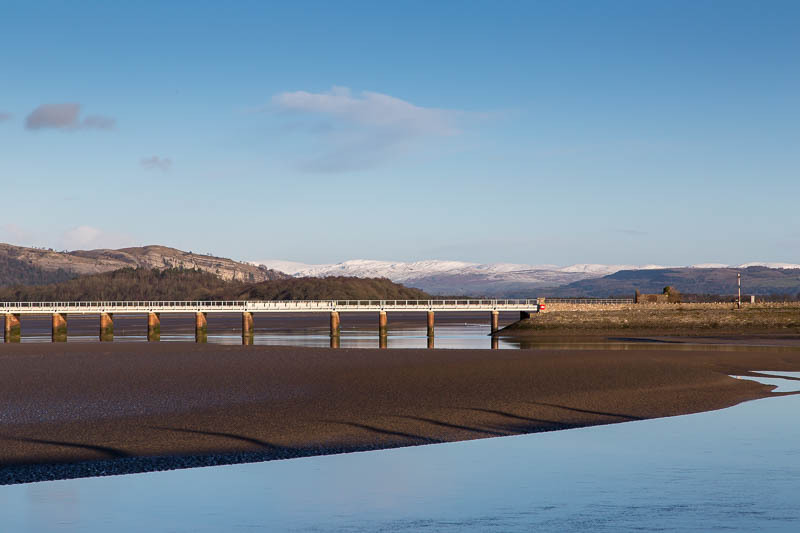 Arnside is a village and civil parish in Cumbria, England. 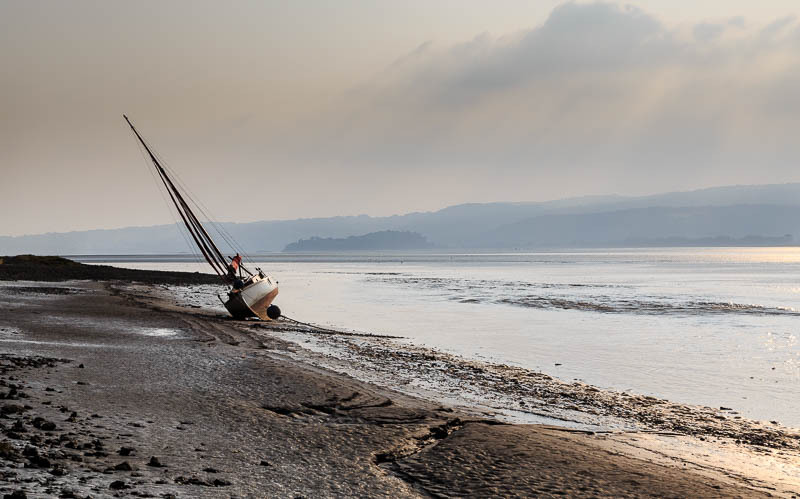 It faces the estuary of the River Kent on the north eastern corner of Morecambe Bay, within the Arnside and Silverdale Area of Outstanding Natural Beauty. Historically it lay within Westmorland, near the border with Lancashire. 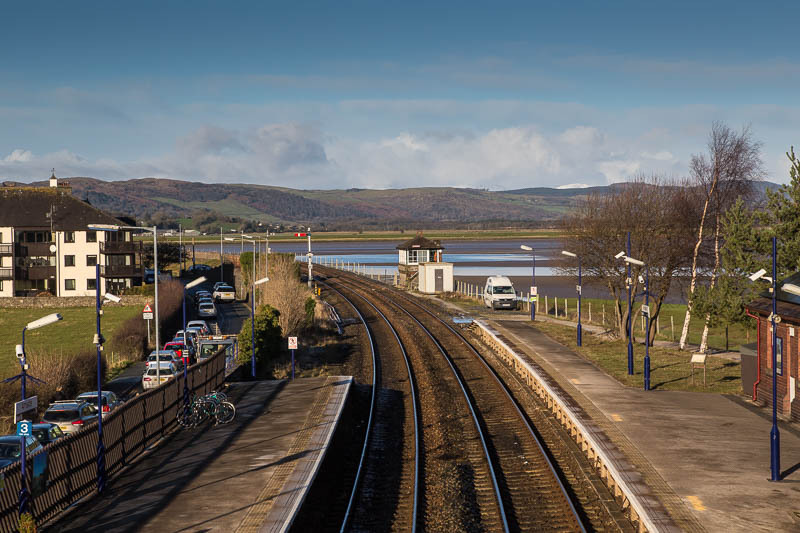 The village lies on the railway line from Lancaster to West Cumbria, which passes over the River Kent via the Arnside viaduct. Up to the 19th century, the village was a port, but building the viaduct caused the estuary to silt up. 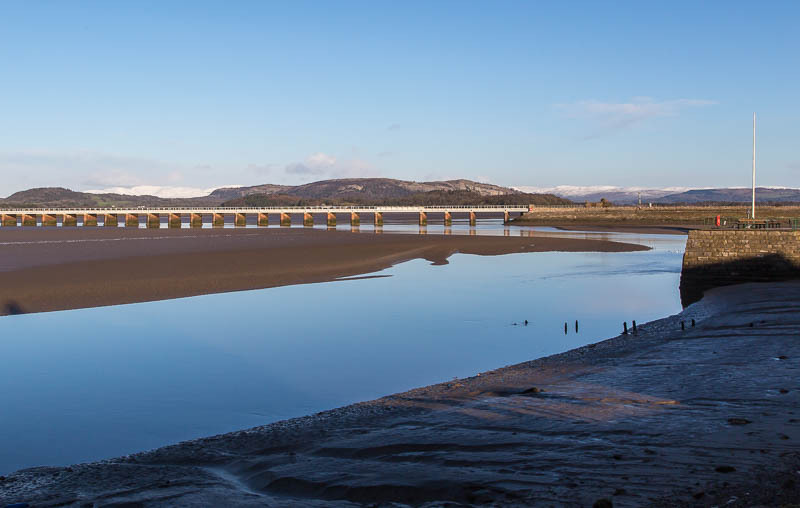 The railway viaduct with snow covered fells in the background. 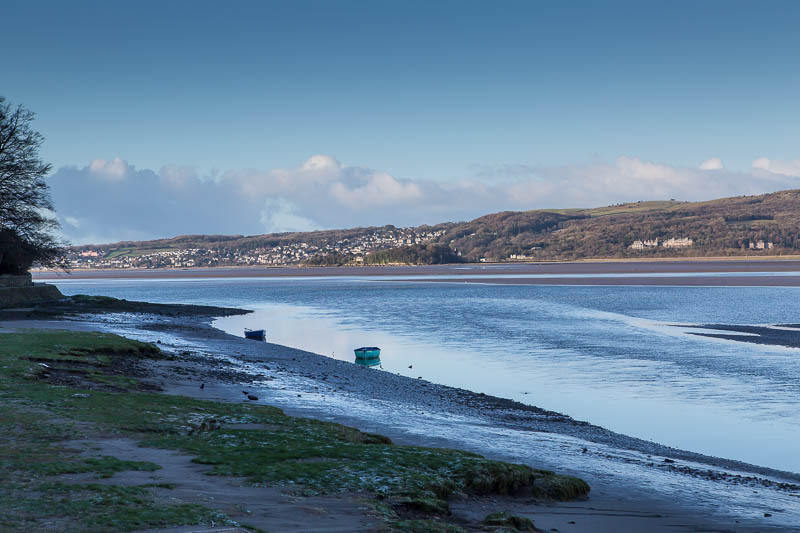 Looking over the estuary towards Grange-over-Sands. Still waters and the railway viaduct. I wanted to catch a train on the viaduct but ran out of time. Across the sands to the winter fells. 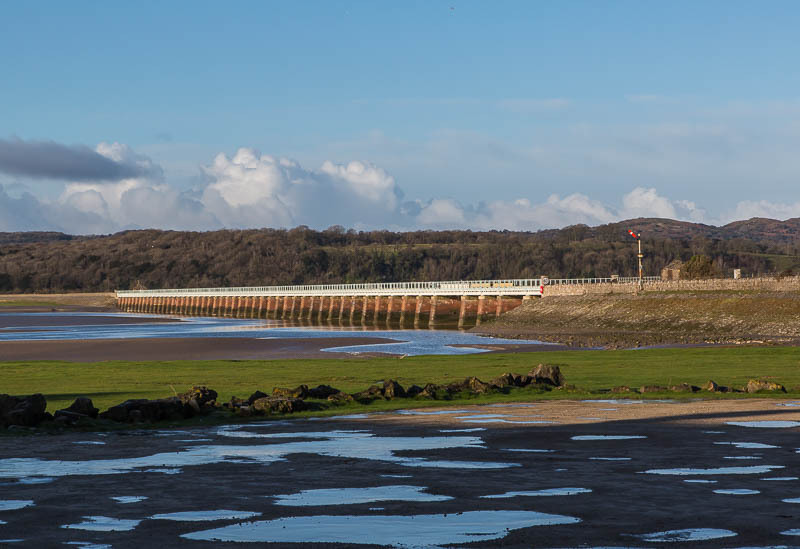 Arnside railway station from the footbridge. 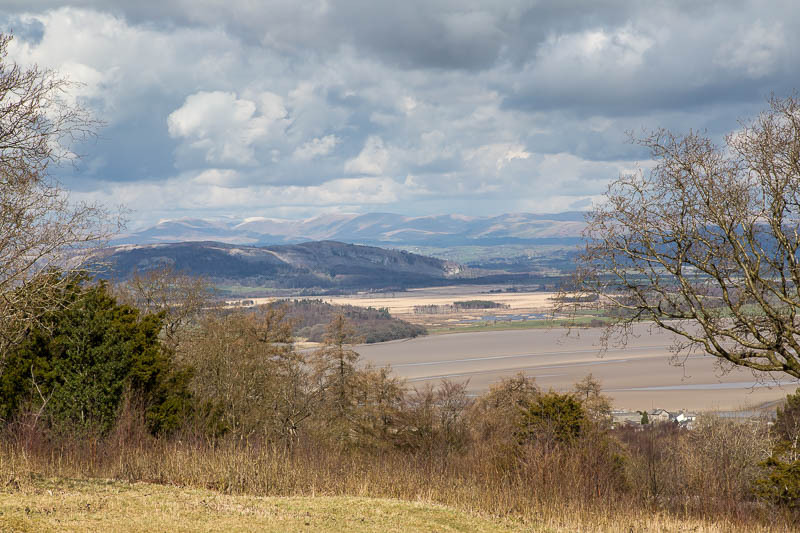 A couple of views from the top of Arnside Knott. This view looking north east across the sands. 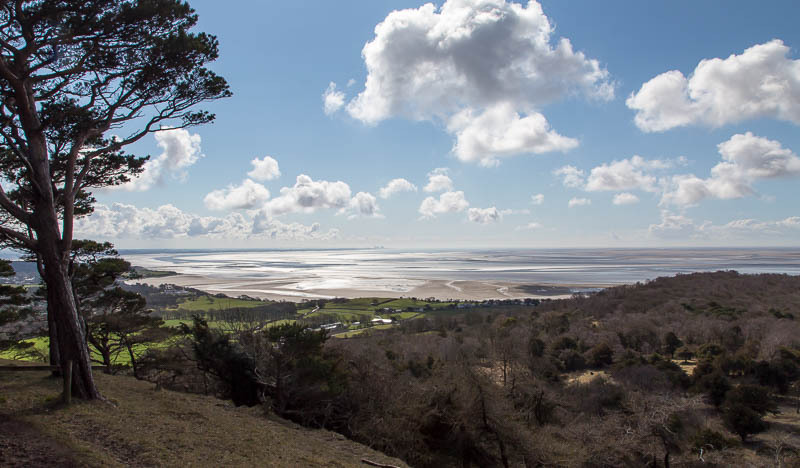 The view across Morecambe Bay from the southern end of Arnside Knott. 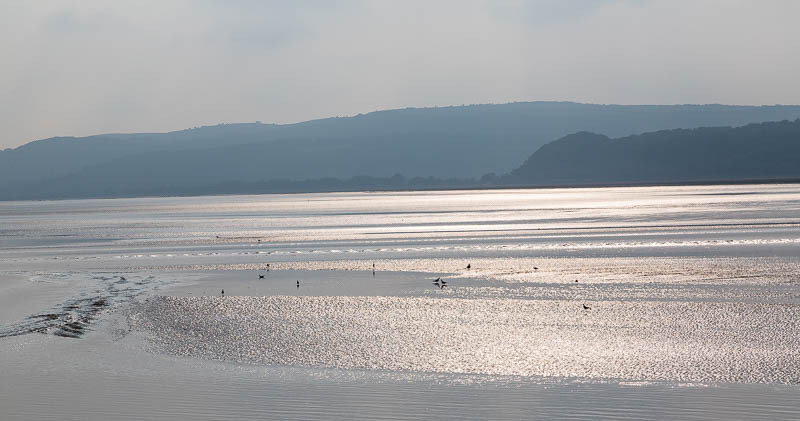 Evening light across the Kent estuary looking towards Grange over Sands. 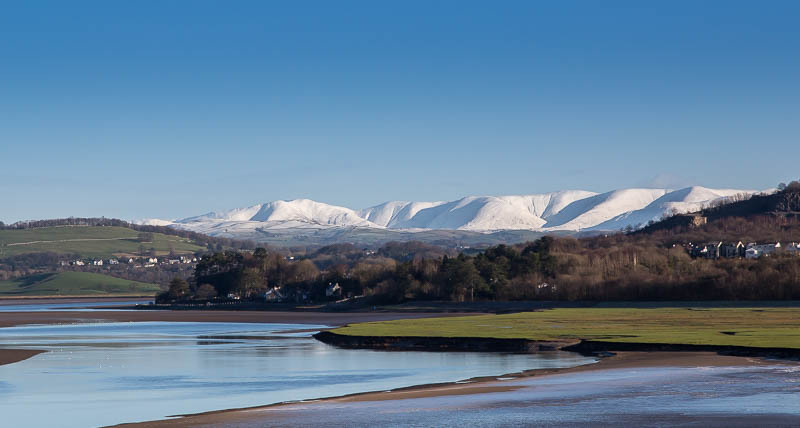 We had just had fish and chips from the Arnside chip shop. Excellent, well recommended.